This replenishment kit has everything you need to keep up with regular maintenance of your Roomba 600 Series robot. Kit includes, spinning side brush, three AeroVac™ filters, a bristle brush and beater brush. Compatible with Roomba 600 Series only. 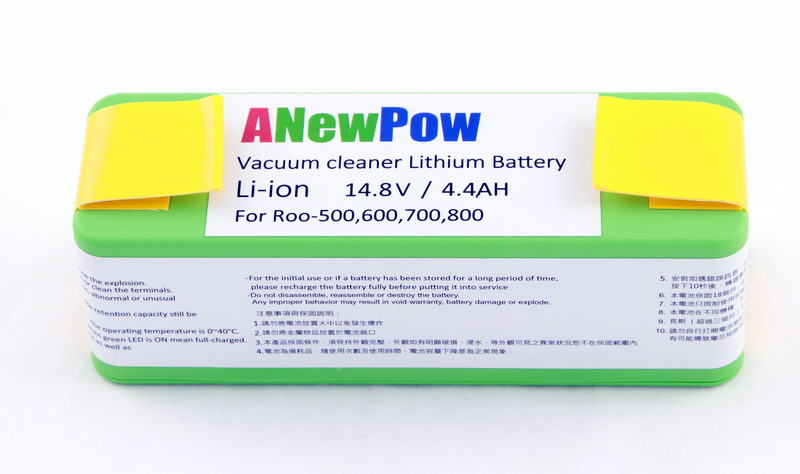 The ANEWPOW Li-ion battery is a environmentally friendly, long lasting battery for the iRobot® Roomba® 500, 600, 700 and 800 series. Lithium battery technology may cost a little more up front, but lithium batteries last 4X longer and hold a charge for nearly twice as long as the stock NiMH, NiCd and all market replacement batteries. Our ANewPow lithium iRobot® Roomba® batteries can save you 50% on battery cost and you gain the peace of mind knowing that these batteries are not going into landfill.